Since 2002, Peterbilt and the United Way of Denton County have partnered to raise more than $16 million in support of the Denton community. Peterbilt has been a supporter of the United Way since the 1980s and hosts a week of employee-based fundraising through a variety of activities and interdepartmental contests. 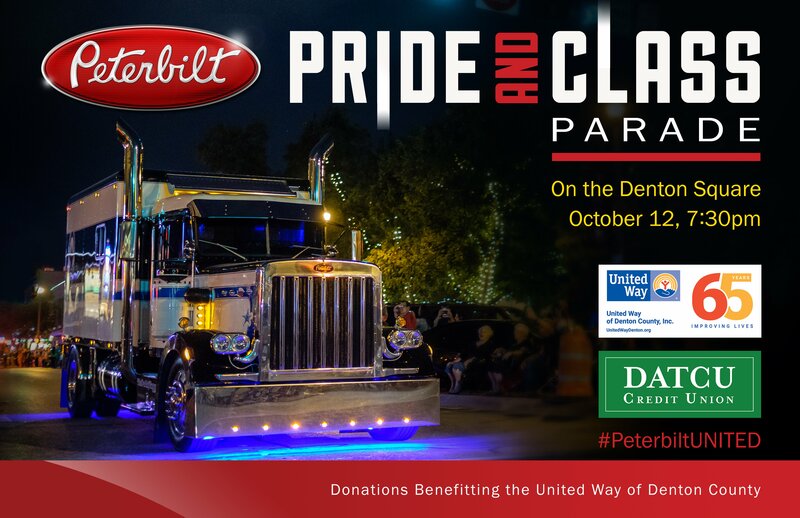 The Pride and Class Parade invited owners of more than 50 custom Peterbilt trucks from around the United States and Canada to join in the campaign by traveling to Denton to participate in the parade route through the city square. The parade viewing route took trucks around the square at Hickory and Elm streets. Supporters were encouraged to donate online or through onsite collection volunteers.